What Is Your #OpeningDay Tradition ? From 1979 to 1987, I collected a lot of baseball cards. I ran to the corner store to see the first packs arrive or sat inside the store waiting for the stores to reload their inventory. Topps baseball cards always sold out and I could not never get enough of them. I devoured the statistics on the back. Did you know that Bill Buckner struck out only 26 times in 657 at bats in 1982? I did and still do. I still have many of these baseball cards and grab a handful almost daily and still read those stats. As long as my eyesight will allow, I always will. 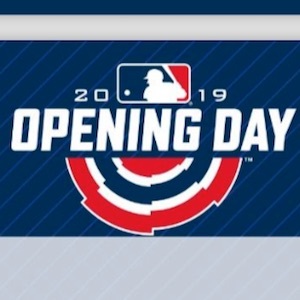 Opening Day is here and I could not be happier. Baseball is on the television, the pc, the Galaxy (never been an i-phone guy), the radio and in the air. It's likely that you are not as enamored with the game as myself, but baseball connects us. 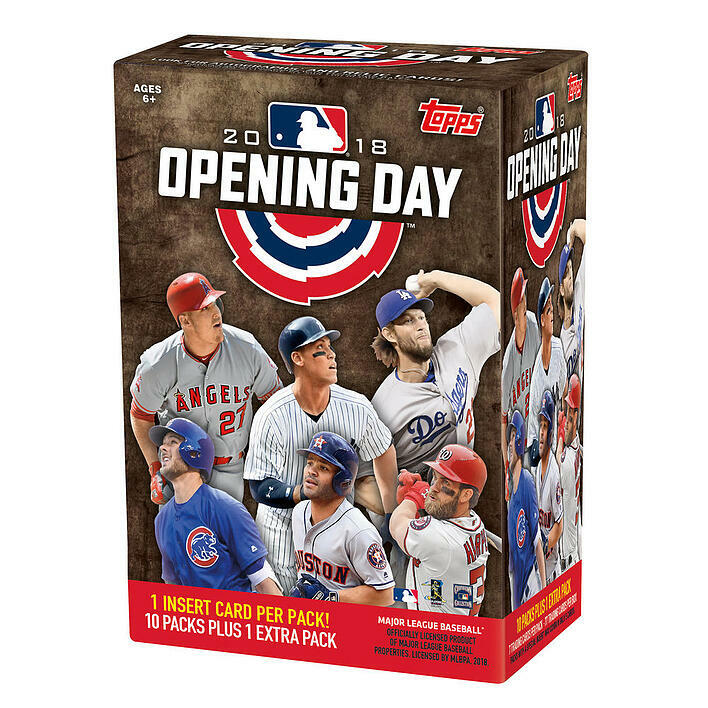 Please celebrate Opening Day with me and open a pack of baseball cards. 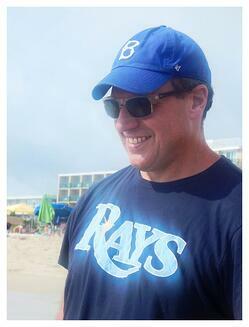 This is my Opening Day tradition and I am honored to share it with you. 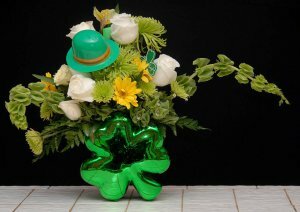 March 17th is Saint Patrick’s Day and people all over this city are getting ready to show their Irish pride! While there are sure to be events celebrated all over Boston with green beer free flowing everywhere, I think it’s important to take the time to acknowledge the history behind the four leaf clover. 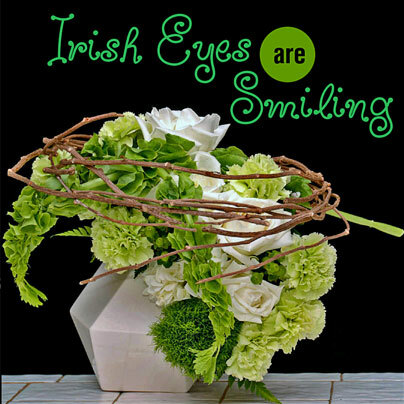 As a floral professional, I can’t tell you how many requests we receive for potted plants of clover or specialized flower arrangements with hints of the greenery slipped here and there amongst the blooms. Clovers are a huge part of the Saint Patty’s Day tradition so let’s do a little research to find out exactly why we go crazy over these tiny florets every March. The origin of the shamrock really does have interesting roots once you start digging since it was primarily used by Saint Patrick to introduce the religion of Christianity into Ireland. He chose the sprig as a symbol of this faith because of the three leaves which he believed was a sign of the Holy Trinity. Because its three leaf shape, it was also valuable due to the fact that the number “three” was held as an omen of good fortune even though we associate a 4-leaf clover as the one holding all the luck. As time wore on, the cloves were actually seen for a brief period of time as meaning a sign of rebellion. If you were caught wearing any evidence of the plant, you were immediately considered any enemy to the state. This belief did not last long thankfully, and eventually returned as a sign of spring, luck and Irish pride. 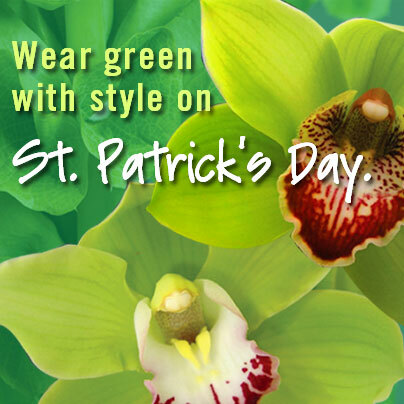 Today, shamrocks are recognized all over the world and not just on our beloved Saint Patrick’s Day. No matter what your religion or origin, millions of people search each year in the hopes of finding a four-leaf clover, although a three-leaf clover brings good tidings, too. Standing for love, hope and faith (in the case when a fourth leaf is found-God), this tiny treasure is Mother Nature’s gift to the adventurous heart who seeks out the magic of the petals growing across green countryside. If you do not have access to a blooming lea, supermarkets often carry pots of clover during the months of February through April at an inexpensive cost. For those who enjoy growing their own, you’ll be happy to know that shamrocks (or otherwise known as Oxalis) are perennials which bloom every year as a ground cover. Many of which are planted as a bulb, the best places to start your own crop are nearby garden edgings or rock formations. If you’re an art fan like I am, you may have come across the infamous painter Thomas Kinkade at one point or another. 1 in 20 homes across America owns an original painting by the artist whose work appealed to a wide variety of eclectic tastes and preferences . His brilliant use of chiaroscuro – the use of strong contrasts between light and dark, made him a favorite for many enthusiasts who are moved by the unique style and emotion he depicts throughout his work. Critics who often criticized his shallow perception within this field are often brutally abutted by popular perception of the market which continues to drive up Kinkade’s marketable value. One reason behind this is the note of inspiration behind his work that is commonly said to be attributed to a religious region- a source of his true passion. Others argue that many of his ideas stemmed from a deep connection to the outdoors and the importance of “home” and what that truly meant. You can’t miss the abundance of houses featured in the vast majority of his paintings and the gorgeous colors typically emanating from within the structures. Although Kinkade passed away at an early age in 2012, his artwork still goes on to affect thousands of people with his talent for using oils. 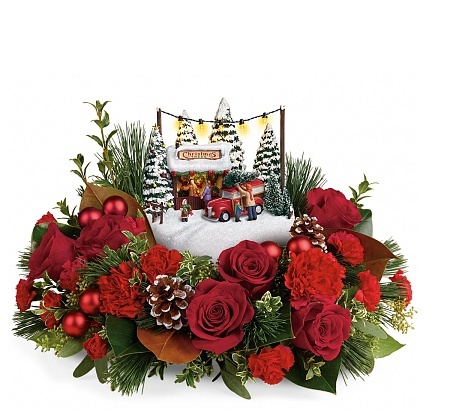 Art dealers aren’t the only one who strive to keep Kinkade’s memory alive since the flower world has decided to take a piece of his essence and add it to this season’s holiday floral line! 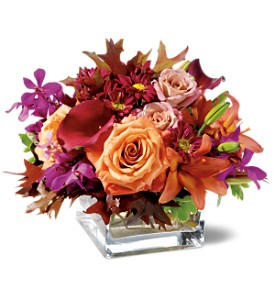 Thanks to the visionaries behind Teleflora, this December customers will be able to purchase the very first, “Thomas Kinkade's Family Tree Bouquet”. Using varieties of carnations, magnolia leaves, white pine, noble fir and cedar, the scent of the arrangement is just as appealing as the Christmasy vision it illuminates. 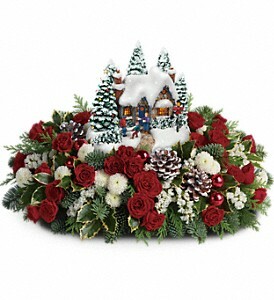 Not only does the centerpiece feature these stunning hints of the yuletide season, each one comes with a Thomas Kinkade hand sculpted, ceramic collectable that can be saved and reused for years to come. 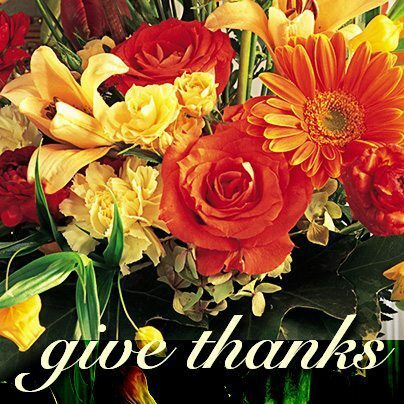 Thanksgiving day is the unsung hero who lives in the shadow of black Friday and the subsequent holiday season. Wouldn't it be great if Thanksgiving reclaimed its crown as the most important holiday ? If you go anywhere these days, 'thank you' are magic words. So few people say it and the ones that do just say it because it is rehearsed. This Thanksgiving, invite someone over who tends to stay alone. If they cannot leave the house, bring them a plate and spend twenty minutes with them. Your time is the greatest gift you can give someone. Rosh Hashanah begins on Wednesday, September 20th 2017, which marks the celebration of the Jewish New Year and the first of the High Holidays. For two days, families will gather together for the festivities, dining on sweet meals, listening to the sounding of the shofar and enjoying one’s company to ring in the fresh start of a new year. Favorite dishes may consist of challah bread, apple cake, honey and kugel, which will dress banquet tables as well as beautiful candles being lit in honor of the world’s birthday. Among the customary rituals associated with this holiday, hosts are also planning their floral centerpieces to assist with the decor, adding another level of color and inspiration to their event. 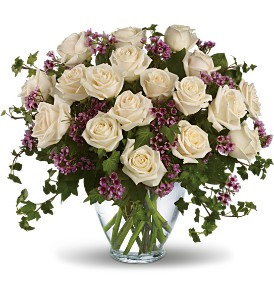 Boston florists are preparing for this occasion by updating their inventories to appease requests for those observing Rosh Hashanah and are excited to create bouquets uniquely designed just for you! Tis’ the season for graduations in Boston and we couldn’t be prouder of all seniors who are moving up and out into the world! Whether you’re becoming a high school or college grad, there’s bound to be tons of celebrations surrounding your accomplishments in the academic world. No doubt, family and friends will be gathered to witness the big moment when your name is called and you receive the diploma that will guide you towards the next chapters of your lives! With all the festivities soon arriving, parties will be in full swing hosting yummy buffet dishes, live entertainment and hopefully a stunning presentation of floral décor. Haven’t gotten that far yet in your planning yet? No problem! Here’s a great list of options and ideas to get the graduation motif wheels turning! Pay close attention to the difference in styles recommended per age gap as well, since florists have already designed a unique set of creative floral menus specific for each. High School graduates need a little something different compared to college students because they are just taking their first big leap of living on their own at a college or university. For this segment, try either incorporating their new school’s mascot colors in flowers placed in bud vases or arrange quick and easy blooms such as wildflowers or garden perennials. Daisies are one of the most popular species as well as gerberas, zinnias’ and sunflowers to be used for high school graduation parties and bouquets. Cute accessories like adding a key to a mason job also sends the perfect message for them to go out into the world and find the key to their own success! There will be photos galore to help capture this exciting time so you’ll want to look your best and plan on every detail to the “T”. So I noticed we hit a snag in our planning and may have forgot to order the corsage and boutonnière from our local florists? Well, this is just catastrophic! Who ever heard of not pinning a flower to the lapel of your handsome date or slipping on a stunning wristlet on the girl of your dreams? It’s just not how things are done, people so let’s make sure step #10 is covered. In general, the blooms are bought according to the color palette the pair will be wearing but it doesn’t have to be this way for everyone. Maybe she likes orchids or her favorite flower is a rose? Select a variety that will go well with HER instead of panicking over the tint of fabric her dress is made out of. For HIM, choose something that isn’t going to be too bulky because he’ll lose or damage the head for sure once the dancing gets started. 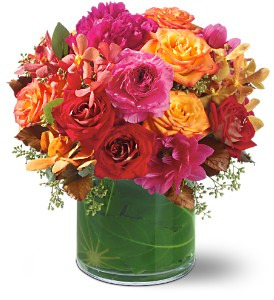 Think small roses, mini gerberas, mini callas or ranunculus as options and ask your florist what they advise will work well for the both of you. Have a ball… BE SAFE and Enjoy Your Special Prom Evening! What Is Your Opening Day Tradition ? Opening Day is here and I could not be happier. Baseball is on the television, the pc, the Pixel (never been an i-phone guy), the radio and in the air. It's likely that you are not as enamored with the game as myself, but baseball connects us. see you at Fenway ! New Year’s day is the perfect time to reinvent yourself and improving certain areas in your life that might need a little attention. For many, it starts by making a long list of resolutions, usually having some realistic while others are not. Typically, the most popular are losing weight, getting more exercise and spending more time with those you care about. We start of with good intentions but many times after week four, those resolutions are merely pleasant afterthoughts of the celebratory season. Why do we forget what we’ve promised? The answer is that sometimes our ambitions are too difficult to manage or possibly even dull or boring. By using a little creativity, we can make our New Year’s aspirations both plausible and enjoyable! The official kick off is on January 1st so it’s important to plan ahead with an activity that will promote your resolutions in a positive and entertaining manner. It’s essential that whatever you do on this holiday will set a solid stage for the eleven months that follow. This is a great idea and one that my family engages in annually. Have each person write down one or two goals for themselves on small pieces of paper. Roll the paper up and place inside a glass bottle such as an empty wine or coke container. 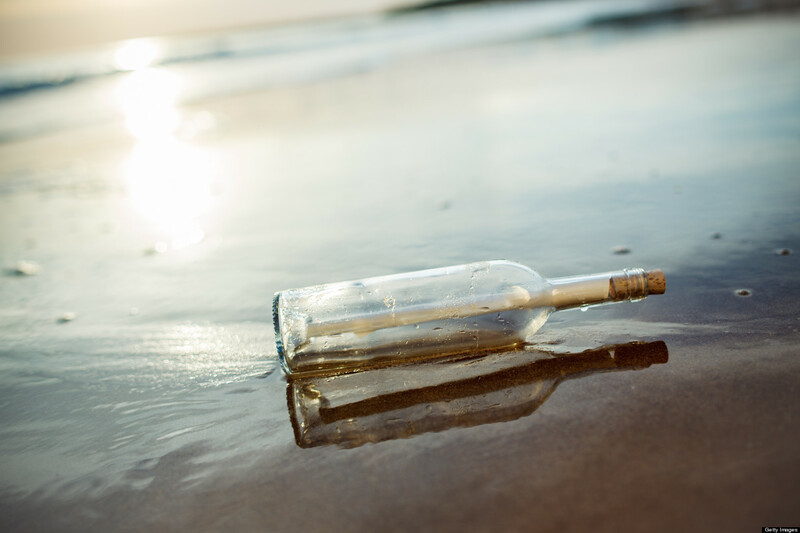 Cork the top and either bury it in the backyard or toss it in the ocean where it can travel across the world with your hopes and dreams for the upcoming year! If you’re curious whether you’ve reached those goals by December, simply keep the bottle for yourself and place on the mantle to be opened on New Year’s Eve. 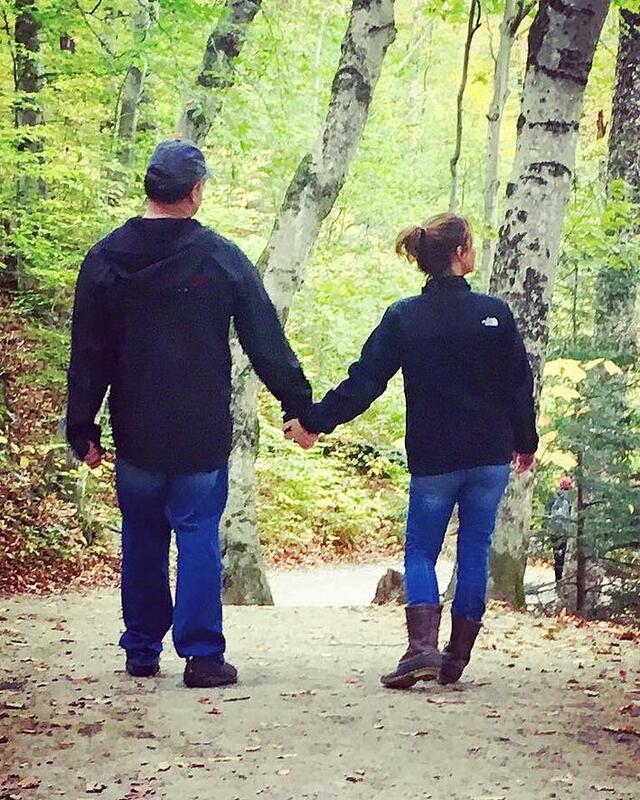 Sure, working out in a gym is good but heading for the great outdoors is even better. Lucky for us Bostonians, not only do we have a whole new selection of sports to choose from with each change of the season, we also have stunning forests, seashores and mountain ranges to explore! Hiking, biking, snowshoeing, skiing, skating and ice fishing are all activities that the whole family can enjoy and none of them require hefty membership fees. Do your homework beforehand to select proper trails and reservation locations and bask in the fresh air and healthy exercise! Sometimes a good New Year’s resolution starts with promising to spend more time with friends and family. I like this thought and agree that it should be one of the most important goals for society in general. You don’t have to hire a caterer or rent out an expensive function room to accomplish this either. All you have to do is pick up the phone (no texting, please-might be time to cut back on this as well?) and invite your loved ones over for a simple gathering. Make sandwiches, easy appetizers or better yet, request guests to bring over a small dish. Lay back, relax, chat, visit, laugh and socialize by simply being with one another!